The Henbury and Southmead Neighbourhood Partnership has launched The Older People’s Transport Fund. It has been set up so more Older People can get to the groups and activities which help combat isolation and support their health and wellbeing. This Fund is being administered by Southmead Development Trust. Anyone running an activity for Older People in Southmead or Henbury and Brentry can use the fund to hire transport to enable more older people to take part. * Decide who can provide the transport: Contact a transport provider to get an estimate from them of the cost and make a provisional booking – Southmead Development Trust can advise you about transport providers. * Southmead Development Trust confirms if the Transport Fund can support your activity. The Transport Fund will fund up to £50 per event/activity. * Confirm your transport booking: get back to your transport provider and confirm the booking you’ve made and ask them to invoice Southmead Development Trust for payment, putting ‘Older People’s Transport Fund’ on their invoice. SAVE OUR PARKS, ITS NOT TOO LATE! There has been a hidden agenda all the way through this process, it was a way for the cabinet to use the systems to achieve other goals. The council carried out the consultation and said they would listen to what the people of Bristol wanted, which part of NO DEVELOPMENT DID THEY LISTEN TO. One of the selection discussion was did the parkland belong to a friends group, that says a lot about factual information. Why not apply for village green status as this seems the only way to protect much used and loved land. It seems the council should have reviewed the sell off plan as soon as the realised they wouldn’t raise enough money to fund it – they’re only going to raise £11 million instead of £41 million. But , instead cabinet pushed ahead using their majority and despite calls to delay a decision by the Scrutiny Commission. Bristol Parks Forum and Bristol City Councils [Parks and Planning] officers inadequate response during the green spaces debate. As a Brentry resident and a member of the Friends of Okebourne Park and BS10 Parks and Planning groups, I, amongst many thousands of other Bristol residents attempting to retain community green spaces, was appalled by the response from the so called "independent" and City wide Bristol Parks Forum to the Green Spaces consultation exercise or should I say fiasco. The Lib Dem councillors on Bristol City Council were eager to use the support given them by the Bristol Parks Forum to defend their position and deny Bristol residents their rights to have the overriding say in how they wished to retain their much valued community green spaces. Whilst we had a few successes within the BS10 area, the majority of Greenfield sites throughout Bristol did not have any joy in terms of their opposition to the proposals. Decisions on some sites such as Crow lanes open space have been deferred and we await further news on the ongoing evaluation process for its future. Local residents and Friends groups supporting their communities green spaces,as well as responding individually. need to learn from this experience and if at all possible attend and engage in local and Bristol wide forums when circumstances permit, if they are going to seriously challenge such flawed consultation exercises and to ensure that, for example, the Bristol Parks Forum does not run away with its own self importance and that it reflects not only the views of the middle classes in Redland, stoke Bishop, Clifton and the like, but more importantly, the many areas of Bristol that are far less affluent and where communities are always being targeted to take the hits when unpopular strategies of this nature are introduced against the will of the people.We should not forget the inadequate response made by a number of Parks and planning Officers employed by the City Council, whose jobs are paid for from the public purse and for the part they played in the consultation exercise. Yes council officers were few in number and Yes they attended many meetings in council and probably in their own time. However, the reports they produced as a result of the consultation exercise in no way reflected either the weight of opinion against the strategy or were they seen to do anything other than justify theiroriginal position which the vast majority of Bristol residents taking part in the consultation clearly disagreed with. Their whole definition of Low Value land has been distorted, misleading and over complicated to the detriment of transparency and meaningful dialog with local people within the consultation process. At the start of the consultation process the Evening Post [who in fairness championed local democracy], was kind enough to publish a letter I had submitted which warned people that in my experience the Consultation exercise would almost certainly not mean true negotiation with residents when it came to its conclusion, especially when there is a political will to enforce policies, come what may by a party in power. Sadly I think I have been proven correct in so many ways. So lets all support those communities who have been victims of this discredited consultation strategy or where decisions have been deferred and not stop until we have achieved an outcome that FULLY satisfies local democracy and nothing less. COUNCILLORS AND COUNCIL OFFICERS SHOULD TAKE NOTE RESIDENTS OF BRENTRY AND HENBURY WILL NOT BE IGNORED, MISREPRESENTED, OR TAKEN FOR GRANTED. The efforts to promote the use of Blaise House Kitchen Garden continue and a positive meeting was held with Cellan Michael, Manager Bristol Parks Department, which clarified some aspects. In order to make it easier to establish what meetings and events are taking place in Henbury and Brentry (and there are a lot!) Tim Parkinson has put in place a more versatile and comprehensive version of our web site events page. Direct access through http://henburybrentrycommunity.org.uk/events. Once there select the 'View All Events' link. If you are interested in a particular organisation's events info just select from the panel on the left of the page. Anyone in our community wishing to publicise a public event can do so by registering with their name and email address. The Henbury and Brentry Community Council has managed for forty five years without a logo so why, I hear you wondering, does it need one now? I cannot produce a business case for the modest cost of designing the logo we have chosen but in a world where we are increasingly aware of images and their impact our dull text letter head had become out-dated. And, perhaps much more importantly, the design selected reflects the fact that the areas of Brentry and Henbury are of equal importance in our community. So lets be proud of our logo and promote it as widely wherever we can. There‘s a new publicly funded project looking for people who are interested in exploring whether they could work for themselves. You don‘t need a business idea – just be open to finding out whether self-employment could be for you. Outset Bristol provides free training and support to people who are considering starting their own business in Bristol. The Outset Bris- tol training programme is composed of 19 three-hour workshops aimed at taking you all the way from considering self-employment to starting your own business. They will help you alongevery step of the enterprise journey from initial confidence and skills building, to promotional strategies, finance and business planning. 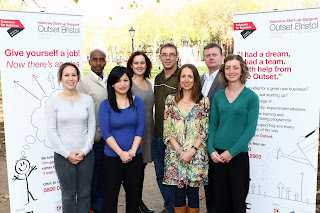 Outset Bristol also offers one-to-one enterprise coaching where trained advisors will give you support and mentoring to help enhance your skills and assist you on the path towards considering self-employment as an option for you. There is also the opportunity for one-to-one business advice and support from the outset, and for up to a year after you start your business. So why not join Outset Bristol‘s flexible, and totally FREE, programme – it can help you every step of the way, from developing the first stages of your idea through to planning and launching your business, and beyond... Outset Bristol holds a drop-in session every Wednesday from 10am-12.30pm at The Greenway Centre, Doncaster Road, Southmead, where you can get free business start-up advice and coaching from one of their advisors. Or why not join their business start-up workshop programme currently running on Tuesdays from 10am-1pm at the Anglo- Iranian Society, 8 Ashley Down Road, Horfield. Ready for a fresh start? Call the Outset Bristol team on 0800 032 2903 or 0117 989 7050, e-mail info@outsetbristol.co.uk or visit www.outsetbristol.co.uk. We would like also to thank you, for your positive feedback and your kind words for the newsletter. Finally, we would like to thank the organisations supporting us with their adverts and contributions. Do get in touch with us, send us your article or your input by emailing us at : henburyandbrentrynewsletter@gmail.com or on mariannapaf@hotmail.com or by phoning Marianna on 0117 950 7032 or 0791337199. Deadlines for submissions to forthcoming issues are: 27th June, 27th November and 27th March 2012. We are a group of local residents from Brentry, Henbury & Southmead who formed a group to protect and enhance our local area. The group started due to the sell off of open space within our areas, Our committee has 16 members who meet once a month on a regular basis, on the second Monday of the month at the URC in Southmead. We are part of The Neighbourhood Planning Network (NPN). This is a network of voluntary groups within the Bristol area, working together to help themselves and each other get better involvement in how their neighbourhoods are developed, through the planning system. We will be holding a public meeting on Tuesday 22nd March 7-00 - 9-00 pm at the United Reformed Church, Wig- ton Cresent, Southmead, Bristol. BS10 6DY. This meeting is to discuss alternative uses for the former Dunmail school site in Southmead. We know what the council proposed for this area and we need you to come and have your say. What do we need for this area? Is it housing, if so what type. Lets have your ideas. From Ali D.
Friends of Crow Lane Open Space. We are a newly forming group of concerned local residents who use and take pride in our park. We not only want to preserve our green space from being sold off, but also work together to campaign and plan for much needed improvements and investment. We would also intend to apply for Village Green status which would, if granted, protect the park from development. We will be having our first meeting at The Henbury Social Club, (Tormarton Crescent), 9th April 10.30 - 12 Noon. We will be electing a committee, adopting a constitution and planning the next year’s activities at this first meeting. It is important to have as many people join as possible so please come along and help us protect and improve our Park! Hopefully you will have now received your 2011 Census questionnaire. Every household is required by law to fill in and return a questionnaire. Although official Census Day is Sunday 27th March 2011, you can fill in your form anytime up until 6th April, as long as the information you provide is the same as it would be on Sunday 27th March. Even if you are out of the country on the day, you still need to complete your form. It is important that we count as many people in Bristol as possible. This is so that the City Council, police, fire and health services can ensure they get a fair share of central government funding. The data is also used to plan facilities and services for the future – hospitals, schools, housing, recreational facilities, community projects and roads. We need to count everyone who currently uses these services and facilities in Bristol – including students who make up a large proportion of the population of Bristol. You can complete the forms online at www.census.gov.uk, this will take about 10 minutes. Alternatively you can complete the paper version, which will take 30 minutes on average, and post it back. If you haven‘t returned your form by 6 April, a Census Collector - who will be wearing a photo ID badge – will knock at your door to remind you to fill it in. All your personal details are kept confidential for 100 years. The Office for National Statistics is not allowed by law to divulge any personal data to any Government Department or agency. Bristol City Council will not see the information either. If you‘re unsure about or have difficulty completing your census questionnaire, there will be lots of ways you can get help: Online help at www.census.gov.uk will guide you, whether or not you‘re completing online. Extra help is also available online for anyone who needs it, including British Sign Language (BSL) video, audio and Braille guides, large print questionnaires, translation guides and an Easy Read booklet. The census telephone helpline 0300 0201 101 (charged at local rate) can provide help and advice in English, Welsh and over 50 other languages. Census collectors will visit households that have not returned their questionnaire by 6 April. They can answer questions and help you fill it in. So please support our city and its future by filling in and returning your Census ques- tionnaire. Henbury and Brentry Transition Group is focussing on looking out for the green spaces in our community which could be cultivated. In January we planted 1000 bulbs opposite the bus stop by the Salutation and on Saturday March 26th we shall do a walk about to look for places where we might plant runner beans or climbing peas for everyone to pick and enjoy. Do join us. We will meet at the war memorial in the Churchyard at 10.30 am. Other meeting times in the year are May 28th; July 30th; September 24th and November 26th at 10.30 at the Library. Do come. Following our successful lunch for some of our senior residents last year we are planning to repeat the venture again this year on 1st June. We would like to invite anyone who would be interested to contact us as soon as possi- ble. You would need to be over 70, living in Henbury or Brentry, alone or as a couple and be able to feed yourself etc. You would be picked up and returned home and we can accommodate a wheelchair if necessary. We can also cater for diabetics or vegetarians if notified in advance. For further details please ring Chris Pratt on 9833468 as soon as possible as there will only be a limited number of places. In December the members of the Events Group assembled and delivered 36 large Christmas Hampers to elderly people right across Henbury and Brentry. Everyone was very pleased and surprised to receive their hamper and several 'young' ladies were happy to also have a kiss from Santa, who was helping with the delivery! This project was hard work but very rewarding. However, as always, we could make use of more volunteers to help with this and other community projects and events so if you feel you could spare some time (however limited that may be) please contact Chris Pratt on 9833468. A Free Chance to Sing! We meet on Tuesdays 7.00-8.00pm at New Kingsland (Henbury United Reform Church), Passage Road, (from Crow Lane roundabout - towards Cribbs Causeway -1st left - church is on the right). FREE. A chance to sing for the fun of it. All ages and ANY ability welcome. We meet on Thursdays 7.40pm at Stoke Bishop Primary School, Cedar Park. Why not try us out this summer? Starting on Thursday 28th April, fees are £32 for the term. No audition, just singing in a friendly four-part choir. We have regular concerts to raise money for our chosen charity. If you have any questions, please contact Janet Brew-er 0117 9423122. Karl Jenkins' Requiem is a lovely and dramatic work bringing together the words of the Latin Requiem Mass with haiku from Japan. Henbury Singers will perform the Requiem at the Trinity-Henleaze United Reformed Church in Henleaze on Saturday 26th March at 7.30pm. Soloists will be David Bednall (organ), Graham Bradley and Gareth Hamlin (percussionists), with Director Steve Bryant. Tickets £7.50 (£6 conc) from Janet Brewer (0117 9423122) or on the door. The concert is held in support of Changing Tunes, a local charity working with offenders and ex- offenders and changing their lives through music. Do you have a little spare time? Could you give half a day each week in term-time to visit a Primary School to help children who are struggling to pick up reading skills? Community Service Volunteers (CSV) is currently recruiting people to do this rewarding voluntary job. Initial training is provided after which you would be linked with a school. If you are interested please contact Ian Tennant - Bristol Area Organiser - Community Service Volunteers by e- mail: ianltennant@aol.com or by phone on (0117) 9040104. Why not join Henbury Social club, a great club with facilities suitable for all ages. Based in Tormarton Crescent Henbury, a great venue to suit all requirements. The club offers a range of facilities: Skittles, Darts, Pool, Two fabulous snooker tables, Concert hall which can accommodate in the region of 200 people and is available for private functions, Lounge with TV Facilities, The Bar area which has a new sports package to show Premiership football and Rugby, Gaming machines, Juke box. Various Fridays/ Saturdays – Dancing/Family Discos and various entertainment to suit all age groups. * A large two course menu for just £6.50 * A small two course menu for just £4.50 All served every Sunday from 12 – 4pm unless otherwise stated. For all enquiries please use the club‘s e-mail address: henburysocialclub@hotmail.com or phone on 0117 9506325. A website is available to keep all our members informed of forthcoming events and all the latest news along with notice boards within the club www.henburysocialclub.co.uk. - Good Friday - 22 April, 2 pm "The Last Hour"
Avonmouth Neighbourhood Policing Team work in partnership with Bristol City Council to combat the problem of illegal motorcycling, mini-bikes, mopeds, motorised skateboards and scooters. Using these vehicles may also be classed as Anti-social Behaviour and if repeated or persistent could lead to providing evidence towards an Anti- social Behaviour Order (ASBO). Any untrained and/or young person riding these vehicles can be a danger to themselves and others. Anyone riding where they shouldn‘t be is putting other users or pedestrians at risk. Any person who rides dangerously faces legal proceedings and possible imprisonment. Councils have the power under the Environmental Protection Act 1990 to take action in respect of a noise nuisance caused by unreasonable use of motor vehicles used off road. Following the serving of a legal notice (an Abatement Notice) councils have the power to seize the offender's vehicle and take prosecution proceedings. If any of these vehicles are ridden in parks, on footpaths, in fields without the landowner's permission, the rider commits an offence of riding on land other than a road. Noise nuisance offences are also applicable when riding on such land. Under the Police Reform Act 2002, the police have the power to seize motor vehicles that are being used to cause alarm, distress or annoyance to members of the public. This includes the use of motorcycles, mini-bikes, 'go-peds', mopeds and quad bikes. Repeat offenders are warned that they may have their motor vehicle taken from them and disposed of and may have to pay the cost of recovery. Parents are warned that they might be responsible for paying fines incurred if a motor vehicle is seized from them. Any vehicle which includes motorbikes, mini-bikes, Go-peds and scooters needs insurance to be in a public place and road, even if the vehicle is being pushed. Go-peds, Mini- bikes etc, what's the law? Go-peds, citybugs, buzz-boards, motorised skateboards, and mini-motorbikes (both electric powered and petrol engined), are the most recent additions to our streets and open spaces. They are considered to be a mechanically propelled vehicle and subject to the same laws as motorcycles. They cannot be used on a road unless they conform to the law. They cannot be used on pavements, grass verges etc. These vehicles may only be used in private gardens or on land where the rider has been given permission by the landowner. The community can assist police in tackling this problem by reporting incidents via 999 if it is an emergency or via the non emergency number 0845 456 7000. We can’t tackle this issue without your help. During 2007 a new closed circuit television system was installed along Crow Lane, replacing an old stand alone system. The Safer Bristol Partnership fund- ed the upgrade and link to the emergency control room which records footage 24/7. Staff can also monitor Crow Lane throughout the day and night moving the camer- as, zooming in and out as incidents occur. Now 4 years on, police have been able to use the footage to arrest offenders for a num- ber of offences such as robberies, thefts, criminal damage, and ASBO breaches. Not only have we been able to use the system to bring offenders to justice but also to record incidents of AntiSocial Behaviour (ASB) which have been used to show parents exactly what their children get up to and used as evidence to gain ASBOs and injunc- tions. The CCTV system is not only there for catching offenders but also acts as a deterrent for crime and Anti Social Behaviour happening in this area. At Bradgate Surgery we are always looking for different ways to approach the services we offer to our patients. Last year Lyn and Judith, healthcare assistants, trialled group meetings to support patients who wish to stop smoking. Bradgate Surgery had one of its most successful years in helping our patients overcome their smoking addictions. In surveys of other surgeries, dental practices and chemists in this area we achieved very high quit rates. It is very rewarding for us to hear our patients say that they wished they had tried to stop smoking earlier as they feel so much healthier. In 2011 we intend to offer a slightly different service, following feedback from our patients. On the first Wednesday of each month at 3pm, Lyn and Judith will host an informal introduction to the patients who would like to stop smoking. We will see up to 15 patients in this initial meeting. Places can be booked via reception at any time. The purpose of the session will be to give information only and to offer encouragement to our patients. Lyn and Judith will talk about all of the different products and regimes to help patients over their addiction to tobacco. There are new products becoming available all the time as research improves, so even patients who have tried to quit previously are encouraged to have another attempt. Everyone will receive a warm welcome even if they have been before. Never give up giving up! After the meeting patients can then make an informed choice about which treatments seem better for them. They can then come to the surgery to have specialist one-to-one appointments with any of Bradgate‘s support to stop smoking counsellors. We try to provide appointment times to fit in around work and home life. If you are a patient at the practice and would like help to quit smoking, please book a slot at the meeting held on the 1st Wednesday of the month. For patients not registered at Bradgate Surgery your practice will be able to help or you can contact the NHS Bristol Stop Smoking Service on 0117 984 1650.
community groups and the general public. I also deliver 'Challenging pain' workshops in and around the Bristol area. I completed the course as a participant in 2008. I found the course very rewarding to help myself to become a good self-manager of my long term conditions CFS/ME, Fibromyalgia and Osteoarthritis. The course helped me to discover ways to manage my everyday life through learning techniques such as – relaxation, recognition of symptoms, communication, managing pain & fatigue, problem solving, planning and working with your health care professionals. I also work with young people with arthritis across the South of England as part of the Young People's Service programme. I also sit on the South West Regional Committee and I am the volunteer health and safety champion for the south of England. Arthritis Care has a Free Confidential helpline 0808 800 4050. You can access lots of information via the website or the helpline. Arthritis Care 'Pain Management' courses are free to all participants and you don't just have to have arthritis. I have run courses for people with Parkinson's, CFS/ME and Fibromyalgia, Diabetes as well as other long term health conditions. Arthritis Care is a year older than the NHS, and has won awards for its website, helpline and booklets. For more information check out the Arthritis Care website www.arthritiscare.org.uk or feel free to contact me. My details are Shassblake@hotmail.co.uk or Mobile 0796 393 7383. Are you taking tranquilisers, sleeping pills or antidepressants? Are you thinking about coming off, but unsure how to go about it? For free confidential advice ring our helpline on 0117 9628874 Monday to Thursday 10.00am to 4.00pm. Registered Charity. We are happy to introduce the new column from Henbury Secondary School with all the new and what's on. Life at school is always busy, and this year is no exception. As well as focusing on ensuring all stu- dents achieve their very best, the school offers a wide range of extra- curricular activities to broaden students‘ interests and horizons. This year the school returned to a system that hasn‘t been used for a number of years. All students and staff are allocated to one of five houses, and competition between them is fierce! Our houses are named after star constellations, to inspire students to look up to the stars! The names are Aquila (the eagle), Delphinus (the dolphin), Draco (the dragon), Pegasus (the winged horse) and Phoenix (the firebird). So far the advantages of having a house system are proving very positive. Students are able to take on different responsibilities in each house, and each house will take part in charity and sporting events and competitions. Most of all we value the way that all students in a house, of whatever age, mix and work positively together, helping younger students to settle in at school with confidence, and encouraging responsibility and leadership in older students. Many readers will know that Henbury is a Specialist Arts College, achieving outstanding results for students. We also have a full and exciting programme of activities for local primary schools and residents in Henbury and Brentry. The Community Art Group meets every Monday in school at 4pm. We are also happy to develop other activities in response to residents' requests. Because of the extremely high quality of the work done in school, we were proud this year that the Art team received the National Teaching Award for 'Outstanding Team of the Year' in South West England. If you are interested in finding out any more details about opportunities in Art, please contact John Bennett on 0117 903 0181. This term has been very busy for trips and visits, both at home and abroad. 13 students were accompanied by staff to New York for a week to explore the arts and culture. 18 went to Disneyland Paris for a study break, looking at Business. Two of our students are travelling to Uganda with a member of staff in February, where we have an exchange secondary school with whom we work closely. The two students, Maaya Pandit and Samantha Robertson, have worked hard to raise funds for the trip. We will let you know how they get on in the next edition! ....the first Henbury & Brentry Motion Skate park Competition took place on Monday 17 January with 22 riders (BMXs and Mini-scooters). Our young people found alternative funding, negotiated and booked an all–weather venue, did the risk assessments to keep each other safe and made sure of a good turn out. Nick Pepper of L‘Dub Track hosted the Event. After an initial hour‘s warm-up session, the atmosphere was nail-biting as the competition got underway. 22 young people lined up for three minutes each of freestyle. With whoops of encouragement and support from spectators and other competitors, they thrilled with their skills and tricks. Top effort, top entertainment value! An hour of acrobatics later - flips, 180s, 360s, bar spins, tail whips – and a number of spills had been had. And guess what! Everyone helped each other out, got up, re-focused and carried on. Judges, Kyle Brulington and Jordan Hyde faced a real challenge marking the competitors out of 5 for each category. The eventual winners were Kane Orchard on BMX and Rob Rimmer on Scooter, with only a small margin between them and, in second place Lee Morgan (BMX) and Kane Davies (Scooter). Congratulations to the winners! The skill and determination displayed by all competitors were celebrated by everyone and highly praised by the experts - Nick Pepper and the Team at Motion Skate park. The evening was a huge success, with young people keenly hoping for another similar event. A really big thank you and well done to Kane Davies, Jordan Hyde and Callum Fitzgerald for putting the competition together. 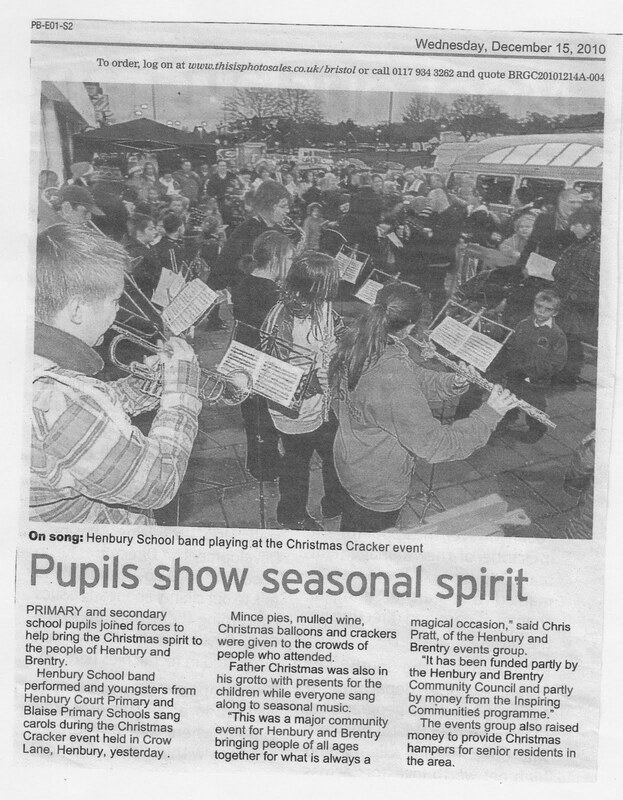 Our annual Christmas Cracker on Crow Lane in December, organized by the Events Group, opened, as usual, by carols from the combined Primary Schools Choir accompanied by the Henbury School Band. Santa arrived with his elves to sit in his grotto and give presents to the many children who visited him there. He was assisted by Mrs Christmas, while crackers and balloons were distributed among the crowd by 'Christmas Trees', a 'Christmas Pudding', a rather tall reindeer and a number of young people wearing seasonal hats etc. There were free mince pies and non-alcoholic mulled wine for everyone and the festive atmosphere was great. Thanks go to all who helped and/or took part – and especially to everyone who came along again to support us and make it yet another successful event bringing our community together. Henbury & Brentry Youth Forum get young people clamouring for more! Henbury Youth Inclusion Project (YIP) was very lucky to receive funding from BS10 Big it Up! to run trampoline sessions at the Brentry Lodge Youth Centre on a Monday evening. The workshops began in January and run until March. This additional activity was set up to enable young people to try something new under the expert supervision and tuition of a qualified trampoline coach and to date is proving to be a popular attraction at the youth club. We are trying to encourage young people to explore their talents and work towards progressing and achieving awards within the sport. It is also hoped that this activity will inspire young people to try new things, gain confidence and meet new friends along the way. 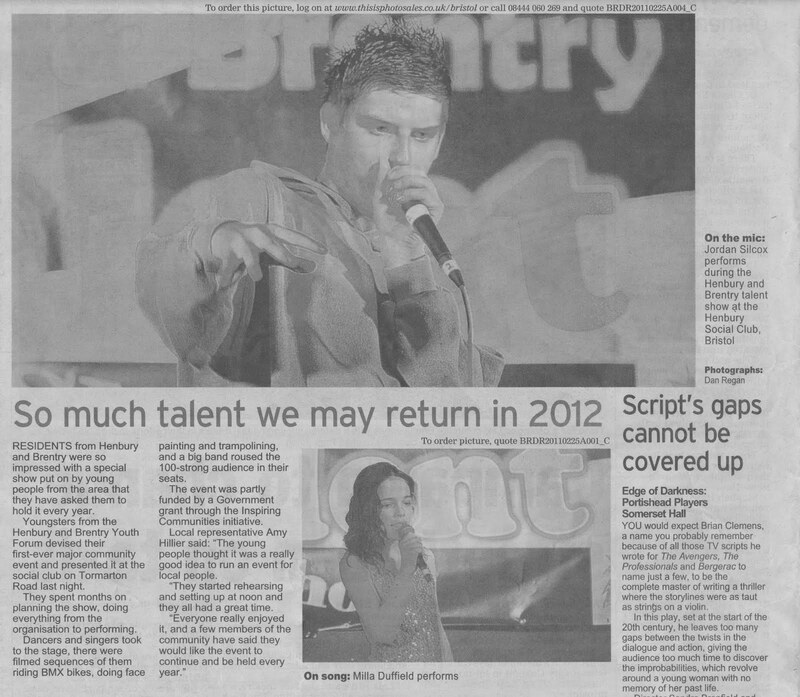 Some of the young people are already showing great talent, as demonstrated at the recent BS10‘s Got Talent show. The trampoline sessions start at 5pm and finish at 7pm during the Manic Monday open session, which starts at 5pm and finishes at 8pm. Manic Monday is open to ALL young people aged 12 – 17. Young people can access and engage with various activities such as table tennis, football, pool, cookery, music and various arts and crafts. Alternatively young people can come along and socialise with their friends in a warm and safe environment. In the six weeks that the trampoline sessions have been running, the young people have positively followed instructions and have grown in confidence week on week. Feedback received from the young people clearly shows that they are enjoying learning new skills and are gaining confidence in their abilities to achieve. 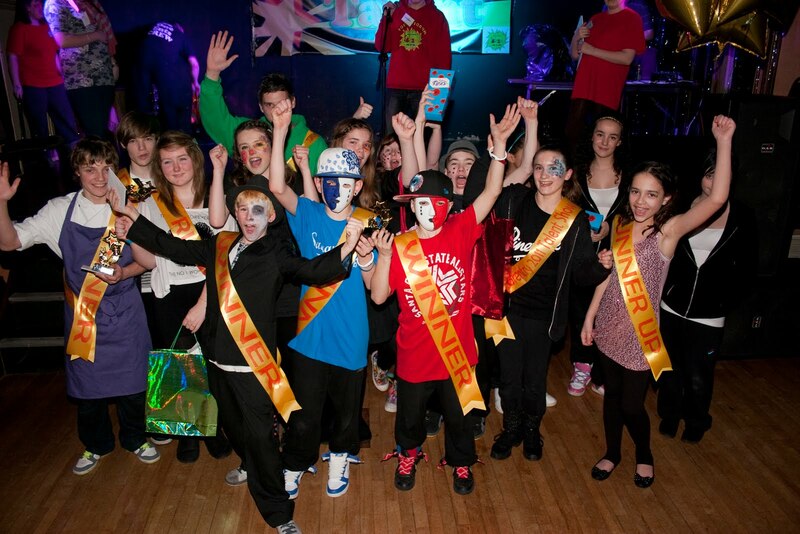 Henbury & Brentry Youth Forum was formed in March 2010 funded by BS10 Big It up! (which some of you may know as ̳Inspiring Communities‘). It also receives ̳in kind‘ and voluntary support from a range of other agencies. It aims to give our young people a voice, enabling them to take positive control and contributing to the life of the community as a whole. 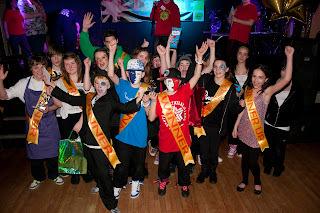 To date, among other things, the Youth Forum has helped deliver the Community Coun- cil‘s Newsletters, been trained in website development, been a part of The Big Idea participatory budgeting short- listing process, organised the Skatepark Event, a theatre trip to Swallows and Amazons and our community‘s big- gest Talent Show. these differ from those of adult groups. · To recognise the achievements of young people through awards and rewards. · To help raise young people’s aspirations by giving them safe and positive opportunities to explore their potential. 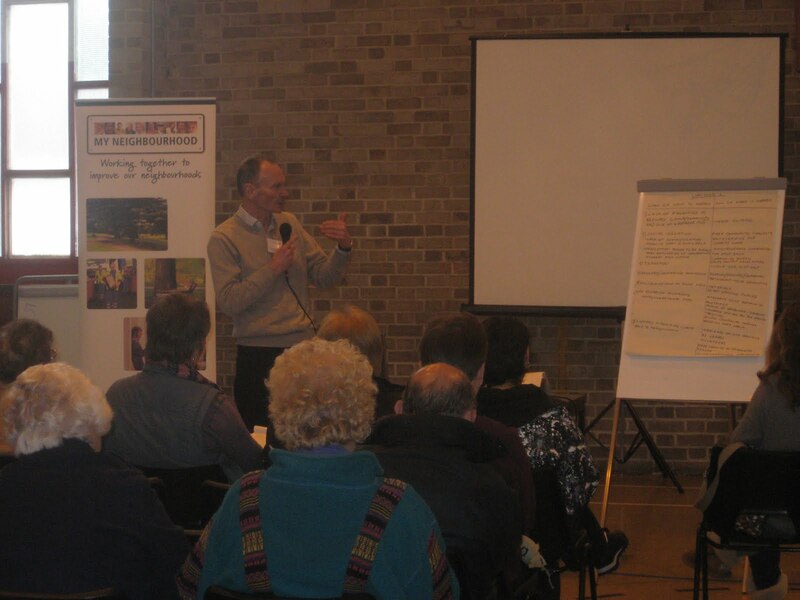 · To help enable inter-generational conversations and co-operation across our community. If you’re a young person and want to become involved contact our Youth Worker, Lisa Bailey at Better To- gether Project on 0117 377 2614 or email us at henburyandbrentryyouthforum@hotmail.co.uk. If you’re an adult, local business or organisation that wants to volunteer or offer some support ‘in kind’, give Lisa a call or contact her on l.bailey@bristol.gov.uk. dancing competition all organised by the young people. The youth forum would like to thank all the per- formers, local residents, inspiring communities, staff and volunteers for their support and kindness. The Youth Forum have been asked if they will run a talent show next year and they are thinking of possible ways that this could be done. Any suggestions, or general questions please contact the youth forum at henburyandbrentryyouthforum@hotmail.co.uk or call Lisa on 0117 377 2614. BS10 Futures! 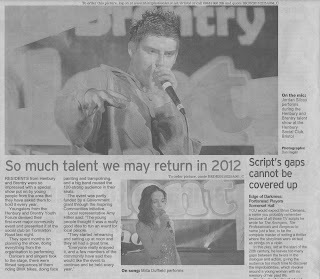 The Legacy of BS10 Big It Up! BS10 Futures took place on Friday the 4th of March 2011 at New Kingsland United Reformed Church. The event was a handover celebration of all the great work that has been done for the past year on the BS10 Big it Up! project. It marked the turning point when residents who have been involved in BS10 Big it Up! take hold of their project's successes, learnings and experiences, and sustain and share them for a brighter and better BS10 Future. The evening began with an introduction by BS10 Communicator Marianna Pafiti-Georgiou and congratulatory speeches from Councillor Claire Campion Smith, Deputy Head Teacher Richard Berry, and Campaign Leader Claire Cook. 13 year old Natalie Champion then talked about her experience of volunteering as a BS10 Communicator for the past year. Natalie said: "This project has given me insight into what it’s like to be working with professionals in the real world, in this case, as a volunteer." The speeches were followed by the unveiling of 'Our BS10 Pledges' mosaic artwork. The mosaic is a compilation of 24 pledges written by young people to make Henbury and Brentry a better place. With the help of Bristol mosaic artist David Bowers, 35 young people from Henbury School helped make the one metre by two metres mosaic one tile at a time! The Co-operative on Crow Lane has kindly offered one of its external walls for installing and publicly displaying the mosaic permanently. After unveiling the mosaic, BS10 Communicator Talen Kennedy announced the winner of 'My BS10 Pledges' prize draw. Out of over 100 people who have made pledges for improving Henbury & Brentry, young person Nathan Curry won a family day out worth £50. The prize draw was followed by Project Manager Sue Tunstall and Project Coordinators Hannah Padget, Lisa Baily and Chloe Stirk handing out awards to the young people who volunteered on their projects. The second part of the evening featured 10-minute sessions for each of BS10 Big it Up! 's 16 projects. The sessions were delivered by participants from each project and ranged from presentations and slideshows to skits and pod- casts! The sessions told success stories about BS10 projects, shared ideas for continuing the work in the future, and networked for the support needed to make these ideas happen. To give a few examples, 15 year old Talen Kennedy is developing the BS10 Youth website which acts as a pledging platform as well as a portal for upcoming events and activities in Henbury & Brentry, a chat room for advice and support and a radio station. The website is currently un- der construction and is available on www.mybs10pledge.co.uk. Another example is 'Volunteering Across the Ages', which plans to continue activities and excursions matching young people and older people to bridge the gap between the two generations and allow for an exchange of knowledge and learnings. A third example is the Talent Show which was a memorable success, and everyone who attended agreed that they would like to see it happen every year. The evening ended with a word from Councillor Mark Weston. All BS10 Big it Up! projects have left great legacies, empowered participants with skills and knowledge for the future, and built relationships and social networks strong enough to transform good ideas into feasible projects. If you would like to join the network and get involved visit the BS10 Big it Up! Facebook Page on www.bs10bigitup.co.uk. Youth Page: It's All Good News! Young people from Henbury and Brentry have been making the headlines in the Bristol Evening Post and on BBC Radio Bristol.....and it‘s all good news! 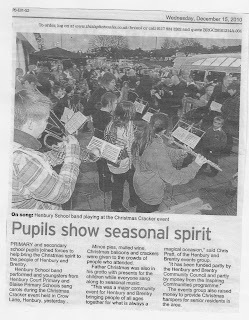 The media have been reporting on activities in which young people have been involved as part of the Henbury and Brentry BS10 Big It Up! Project. This follows a grant of £442,000 from the Government‘s Inspiring Communities and Local Government Initiative. A Radio Bristol reporter interviewed the Deputy Head of Henbury School and some of the pupils when the BS10 Big It Up! Pledge was launched. And the good news is that there‘s more publicity to come. Watch this space! 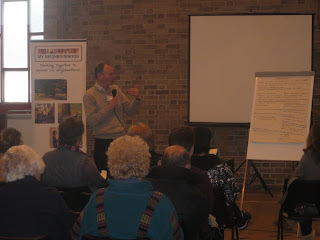 The Conference took place on Saturday 5th March at Brentry Lodge Youth Centre. More than 50 local residents and people working in the area took part. After Chair Paul Thompson reviewed progress from the 2008 Conference, Amy Hillier set the tone with an upbeat presentation on the achievements of the BS10 Big It Up! Project (aka In- spiring Communities). Residents then worked to explore issues and plan improvement around three key issues: Young People, Older People and the broader theme of Developing the Community. The tone was relaxed but workmanlike as residents raised issues then worked together to identify solutions and improvements. Developing the Community: improving street scene (litter, dog mess); increasing use of the Green Spaces; the need for a Community Centre; Traffic, parking and transport problems. It was encouraging to discover when everyone came back together to share their work that many issues were com- mon to all – and that ideas for how to move forward are already out there. An Action Plan will now be put together, with input from residents, voluntary groups and statutory services. It will be combined with similar plans from Southmead and presented to the Neighbourhood Partnership on 5th July for approval. If you would like to help develop the Henbury and Brentry Action Plan please contact: Keith Houghton, Henbury & Southmead Area Co-ordinator, Telephone: 0117 922 2135 or e-mail: keith.houghton@bristol.gov.uk.